Cleanliness is essential to maintaining a happy mood and home. We provide light housekeeping and laundry services to our patients. Having a dirty home can affect a patient's mood. 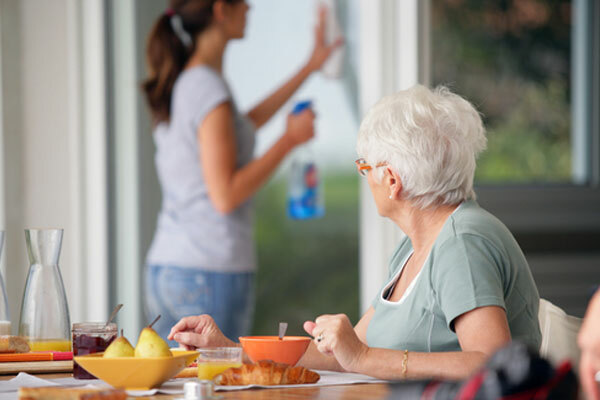 As well as this, there are many health-related issues that can come from dust, mold or grime, particularly for the elderly. As most elders prefer to be in their own home as they age, we like to ensure that we provide these services at their disposal. Understandably, as a caregiver, your time is already running on empty. That's why we suggest getting help around the home so you can spend more of your time with your loved one. Does this class as a cleaning company or maid service? Caregivers provide light housekeeping as part of their service. How quickly can these services be provided? We'll do our best to have help available to you/r loved one as quickly as is feasible. Generally, we'll have an aide with you within 24 hours. What other services do caregivers provide?